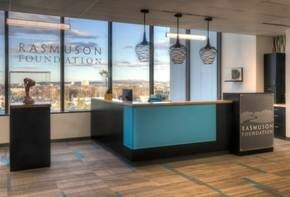 In 2013, Lake View General Contracting was hired by the Rasmuson Foundation to assist with an office renovation to improve and accommodate their growing organization. 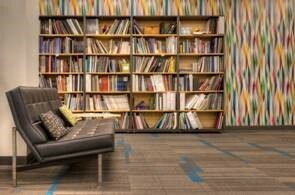 The project was put on hold for two years to acquire more space on another floor of the Wells Fargo building. In 2015 Lake View set to work on the 9,600 square foot renovation. 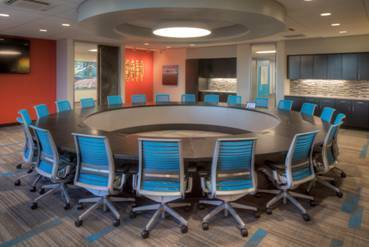 Interior office renovation of 25,000 square feet in commercial building. Emphasis on owner's schedule, and occupied space and phasing plan. Construction began in February 2007 on the first phase of the CIRI 1st Floor Renovation. This project consisted of demolition and reconstruction of the Native Relations Division. By the end of August, the third phase, which consisted of a renovation of a major portion of the first floor was complete. Lake View General Contracting finish the 4th phase, which amounted to replacing the building boilers and a new snow melt system, in October 2007. This project was a combination design/build and open book negotiated project in collaboration with RIM Architects.